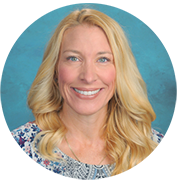 Greetings, I’m Mrs. Abigail Ganje and I am thrilled to teach 6th grade at Aliso Viejo Christian School. I taught 9 years in public school in grades 3rd, 5th, 6th, and 7th, and 8th Language Arts and Social Science. I am excited to start a new year with you to share my love for learning and express my faith with students. I am happily married to my husband Jeff and we have three amazing daughters. We enjoy traveling, going to the beach, cooking, and spending time together outdoors. In my spare time you might find me practicing Yoga, hiking, attending a concert, reading a book, or watching my daughters’ sports and activities. It is my goal to create an energetic and thoughtful learning community for each and every one of you. I am here to help you, so I encourage you to contact me whenever you have questions or concerns. The best way to reach me is me by email and I will reply to you within 24 hours Monday- Friday at Aganje@avchristianschool.org. If email is not convenient for you please call the front office and you can leave me a voice mail (949)389-0300 and I will do my best to return your call at the end of the day. “A thankful heart is a happy heart”! When we have thankful hearts, we are excited about telling others about what God has done. May we always have thankful hearts. May we always magnify God with our thanksgiving and praises! Psalm 30:12, That my heart may sing your praises and not be silent. Lord my God, I will praise you forever! Isaiah 12:4-5, In that day you will say: “Give praise to the Lord, proclaim his name ; make known among the nations what he has done, and proclaim that his name is exalted. Sing to the Lord, for he has done glorious things; let this be known to all the world.